The VEX Robotics World Championship will once again take place in Louisville, Kentucky, starting with the VEX Robotics Competition and VEX U portion of the event from April 24-27, followed immediately by VEX IQ Challenge portion held April 28-30. Visit the 2019 VEX Robotics World Championship event pages for each division to get up to date on all the information needed to prepare for the event. At the VEX Robotics World Championship, students gather from around the world to showcase their STEM problem solving abilities, share their enthusiasm, and build community. For information about previous VEX Robotics Worlds Championship events, select a year below. 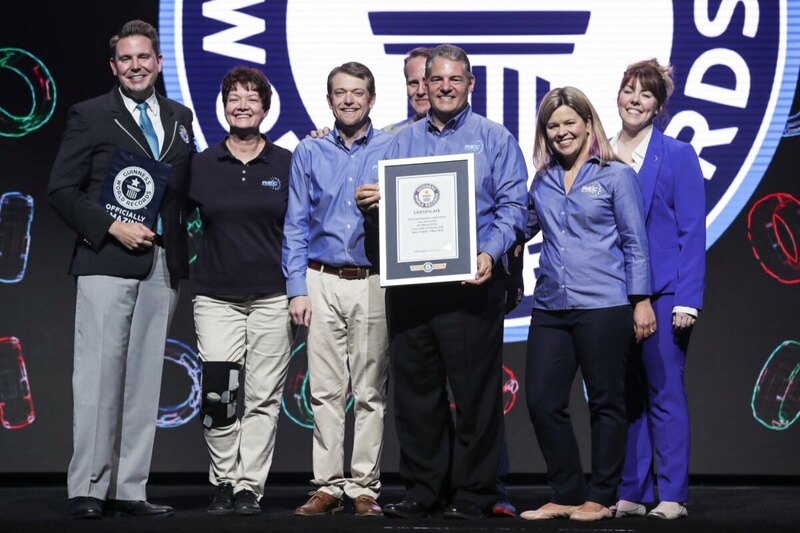 The 11th annual VEX Robotics World Championship brought over 30,000 people including 1,648 teams from 30 nations in Louisville, Kentucky, for a week-long celebration of STEM, diversity, and robotics, once again securing the GUINNESS WORLD RECORDS™ title of largest robot competition. The tenth annual VEX Robotics World Championship brought together the top 1,400 student-led robotics teams from around the world to Louisville, Kentucky, April 19-25, 2017. Click here for a list of the 2017 VEX Robotics World Champions and Excellence Award Winners. Visit the 2017 VEX Robotics World Championship Photo Archive to relive the excitement! This one-hour CBS Sports Spectacular gives you a front row seat to experience the thrill of VEX Worlds as you get to know some of the world’s best teams through one-on-one interviews. Experience first-hand what it was like to be a part of the world’s largest robotics competition! The 2016 VEX Robotics World Championship, presented by the Northrop Grumman Foundation, brought together top robotics teams in the VEX IQ Challenge, VEX Robotics Competition, and VEX U under one roof to celebrate their accomplishments and participate with the best teams from around the world. The 2015 VEX Robotics World Championship was held in April at the Kentucky Exposition Center in Louisville, Kentucky. A special thanks to our Global Sponsors: Northrop Grumman Foundation, US Army, NASA, Chevron, EMC Corporation, Hexbug, Innovation First, Texas Instruments, Microchip, and Robomatter. Additionally, thanks to our World Championship Sponsors: HelmsBriscoe, PLTW, GE, Intelitek, Mathworks, Nissan, Toyota, UPS, Ford, and GlowTouch Technologies. The commitment and support of these partners ensured a great experience for everyone who attended the 2015 VEX Robotics World Championship. The 2014 VEX Robotics World Championship was held in April at the Anaheim Convention Center in California. A special thanks to our platinum partners: Chevron, EMC Corporation, Innovation First, NASA, Northrop Grumman Foundation, and Texas Instruments. The commitment and support of these partners ensured a great experience for everyone who attended the 2014 VEX Robotics World Championship.